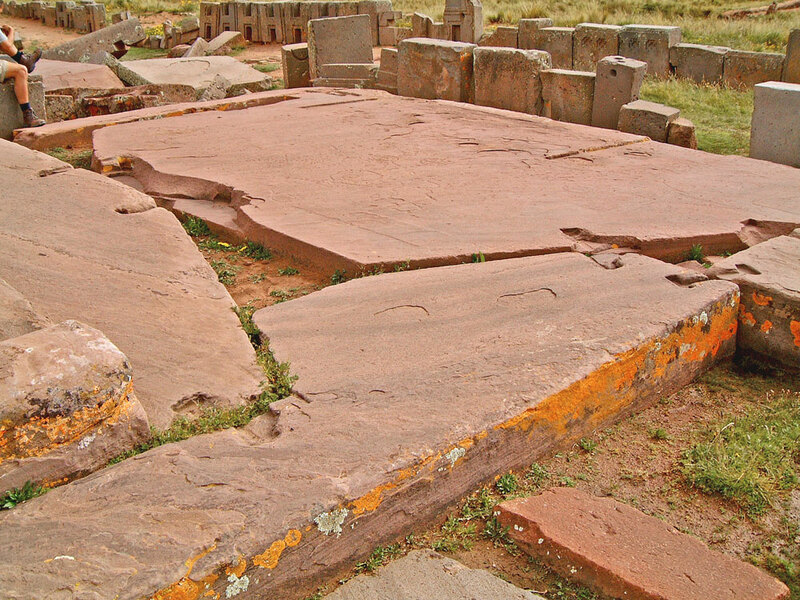 The largest stone block at Puma Punku measures 7.81m long and 5.17 metres wide and forms part of the Plataforma Litica along with four other enormous stone slabs. The I-shaped architectural cramp marks seen linking the blocks would have been filled with molten metal, which would set to create binding pins designed to counteract the shaking effects of seismic activity. There is an anomaly though; the Tiwanaku are thought to only have smelted copper alloys, which wouldn’t be strong enough to hold bricks of this size and weight together during an earthquake of any magnitude!